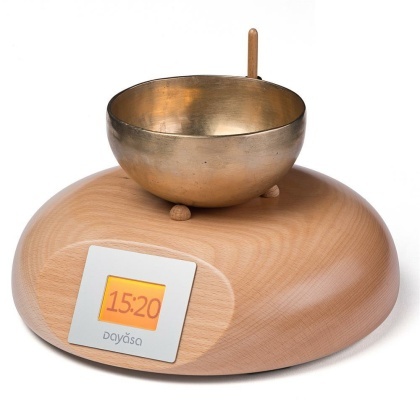 Start your day relaxed and in a good mood with the gentle gong of a real singing bowl! 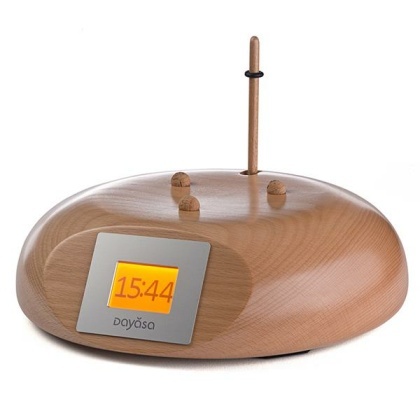 The singing bowl clock by Dayasa brings the rude awakening by the sharp sound of an alarm clock to an end. With the beautiful sound of a singing bowl, waking up becomes pure joy and gives you groove every day. You will see: This wellness-clock will change your life. Once you tried it, you won't want to do without it ever again! The vibration of singing bowls is good for us and has a positive effect on our wellbeing. The sound of the Dayasa is produced completely naturally by a clapper striking the bowl. You can choose the bowl according to your taste - even your own. 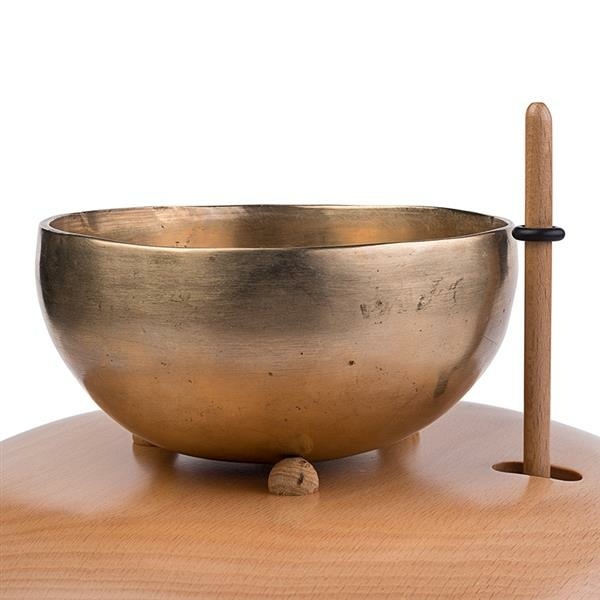 You can find more information and sound samples of our singing bowls in the tab "Sounds". You can find more information in the tab "Application". The clock can be intuitively operated through the touchscreen on the display. You can set the time and all functions by simply touching the display. 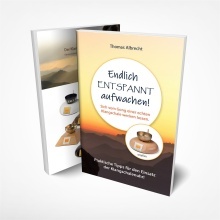 That is not only very easy, but also fun! Unique and Made in Germany - carved out of a single piece of beech wood. No glued edges, no veneer - just pure wood. Short transport routes and domestic woods that are cultivated in a sustainable way protects the environment and climate. Illuminated display: When you touch it, the display is illuminated for 6 seconds brightly and for 4 more seconds a bit darker. Repeat: The set countdown can be repeated up to 99 times. Perfect for reiki and massages! 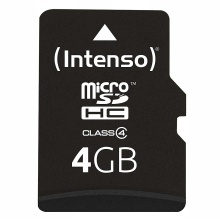 Memory: The settings for countdown and repeat are saved for the next time. Volume: The intensity of the clapper can be adjusted in 10 levels. 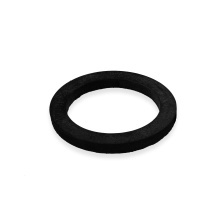 Sound: The sound can also be adjusted by removing the provided rubber ring or by exchanging it with another one. You can find more information in the tab "Functions". 24-hour-display. The numbers are big and easy to read, even without glasses. Illumination: When you touch the display, it will light up for 6 seconds and then slightly dimmed for 4 more seconds. This way, you can see the time without turning on the light at night. Intuitive operation through the touchscreen on the display. You can set the time and all functions simply by touching the display. Actually, we don't find the word 'alarm' really suitable for this clock: The gentle sound of a singing bowl will wake you up softly. You can choose between different sound sequences: simple gong, double, triple, 5 gongs with increasing volume or the Fibnoacci sequence. If you don't turn off the alarm, it will enter the snooze mode: You can cosily stay in bed and close your eyes again, knowing that the gong will be repeated after 7 minutes. 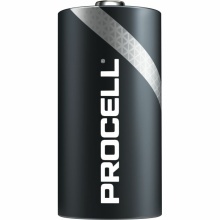 Turn off the alarm by placing your finger on the display for 2 seconds. The Fibonacci sequence supports your natural rhythm of waking up: Starting with 620 seconds, the intervals between the gongs become shorter in relation of the golden ratio - a principle that can be found in nature frequently. The countdown timer can be set accurately to the second up to 99 hours and 59 minutes. For the end signal, you can choose between simple gong, double, triple or five gongs with increasing volume. The memory function saves your settings for the next time. This is very useful if, for example, your meditation sessions always have the same length. The countdown can be repeated up to 99 times using the repeat function. At the end of each interval, there is one gong. For the end of the last countdown, you can choose between simple gong, double, triple or five gongs with increasing volume. The clock can mark every full hour with a simple gong. Though this function has gone a bit out of fashion, it still enables you to conciously notice one of the most precious goods in life - time. It also helps in harmonizing the room with Feng Shui. 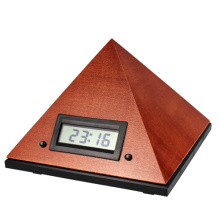 An active alarm or countdown timer interrupts the hourly gong. Your sleep won't be disturbed by hourly gongs during the night..
For a singing bowl clock, the most important thing is the sound. Since sound preferences are very individual, you can adjust the sound of your Dayasa as you like it. The sound of the Dayasa is created, wenn the clapper strikes the singing bowl. In Asia, singing bowls have a century-long tradition and are crafted by family-run firms in Nepal, India or Japan using traditional procedures. 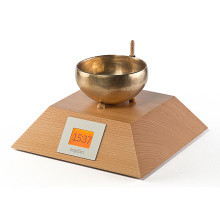 The overtone-rich sounds of the singing bowl have a proven relaxing and positive effect on body, mind and soul. With the Dayasa, this effect can realize its full potential because of the real and pure sound that has not been changed by technology. Every singing bowl has its own sound and character. Choose between fine, perfect bowls from Japan and nicely decorated bowls from Nepal or India, that have been devotedly forged over a fire. Listen to our sound samples and find the model you like best. 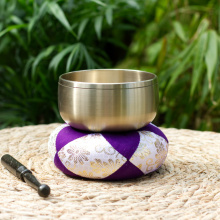 You already have your own singing bowl and want to use it for your Dayasa? That is possible, if the outer edge of the bowl has a diameter between 10,5 and max. 12,0 cm and if the bowl is not higher than 6,6 cm. 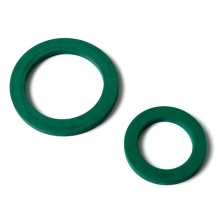 Note: In reality, the sound without the rubber ring is more intense than in the sound samples! 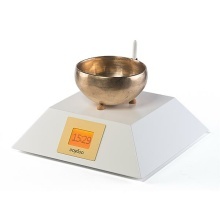 Below, you can find a selection of more singing bowls from our range that you can combine with the ANAND. 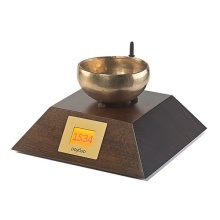 If you want to order an ANAND with one of these, just put the clock without singing bowl in your basket and than the chosen singing bowl from below. 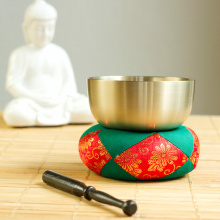 Information: For small singing bowls, it is possible that the bowl is only struck starting at level 3 or 4 because the bowl is standing relatively far away from the clapper. The other way round, it can happen for bowls bigger than 11,5 cm that the sound is not increasing any more on the last levels. A Dayasa is more than just a clock. It not only provides a relaxed start into the new day, it can also accompany and end meditations in style. The decorative design graces every room. It brings Feng Shui harmony and a touch of eastern wisdom into your life - you can both see and hear it. wake up with the famous Fibonacci sequence. Its sound sequence matches our natural rhythm of waking up and is therefore percieved as very harmonic and pleasant. 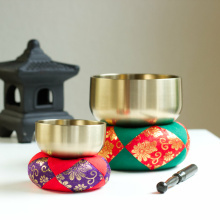 Singing bowls have always played an important role in the practice of meditaion. Thanks to the countdown or the interval function, meditations and yoga exercises can be started, structured or ended gently and atmospherically. 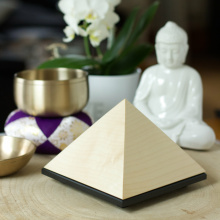 That makes a Dayasa the perfect companion for meditation and yoga, but also for reiki and wellness. Meetings and conferences, too, can be accompnied and ended effectively with the countdown or the interval function of a Dayasa. Its sound focuses the attention and creates an atmorshere of harmony and creativity in every business environment. In Feng Shui, metal is one of the five elements and works best through sound. With the metal singing bowl, the clock is ideal for strengthening the element metal in your home and harmonise your rooms. 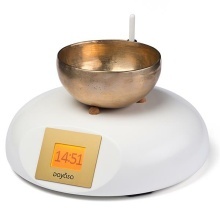 At the same time, the sound keeps the room energetically clean because the singing bowl absorbs the negative chi and converts it into good chi. 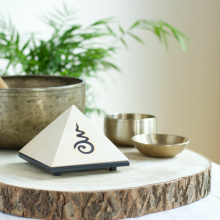 The overtone-rich sounds of the singing bowl ensure well-being and have a positive effect on body, mind and soul. With the Dayasa, this effect can reach its full potential since the sound is real and not changed by technology. 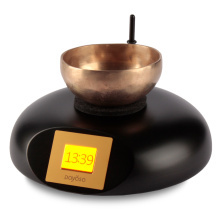 The singing bowls can be taken away from the clock and can also be used separately, for example for sound massages. The high-quality, timeless and beautiul design makes the Dayasa an eye-catcher in every room. Natural materials like the solid wood conveys value and sustainability. Every singing bowl is a valuable art object.